Health according to WHO is defined as “a state of complete physical, mental, and social well-being and not merely the absence of disease or infirmity”. That’s why this industry is not just limited to providing medical services and remedial care. The primary market for these segments is consumers in the age bracket of 25-35 years, with financial independence and disposable income. So is the term “wellness” being overused, is it just a fad or being hyped? It comes across as an industry that has not been explored or mostly not used in its appropriate context. Wellness is accomplishing one’s full latent; it is self-directed and an ever-evolving process. There are seven dimensions to wellness: occupational, spiritual, intellectual, emotional, environmental and physical. Wellness is more than just products that are designed to make us feel good or be physically fit. So what exactly does the wellness industry include? The industry includes spas, slimming & fitness sectors, salon and cosmetic therapy services, alternate therapies among others. People today are very conscious of how they look and feel, also it comes across as an ideal retreat from a chaotic day. While they are mainly enrichment needs, it also focusses on being therapeutic, which is required to maintain a aseptic and fit lifestyle. From spas to slimming centers to non-invasive surgery procedures, there is an entire array of services that the wellness industry can offer. These industries have flourished by taking advantage of ancient Indian therapies like yoga, meditation, Ayurveda etc. Thanks to the growing popularity of the wellness industry, it has fuelled the tourism industry in India. 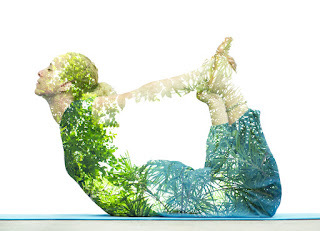 Hotels too are wooing their guests through wellness. Most of the hotels irrespective of the fact whether its business or leisure is focusing on this segment. The hotels today either have their own signature spa brands or have outsourced the requirement to private spas. Irrespective of the formats hotels ensure that they have few components related to the wellness industry made available for the guest. While the industry has the potential to boom in future, challenging path lies ahead. The biggest blockade is the lack of trained personnel for this sector. The Indian wellness industry has seen changes, while the guests have become fully aware of the wellness needs; many spa schools have also opened across the country resulting in trained and skilled man power. To hire quality manpower is the main issue, sadly most professional in India are by chance and not by choice. The lifestyle that most of have nowadays wellness is a necessity and not a luxury. It promises to bring lot of positive changes not just physically, mentally as well as emotionally.